As well-travelled as it is, it’s still possible to find quieter corners and hotels with character in the Caribbean. Audley Specialists have put together a list of properties that offer something special, from luxurious plantation inns to secluded private islands. 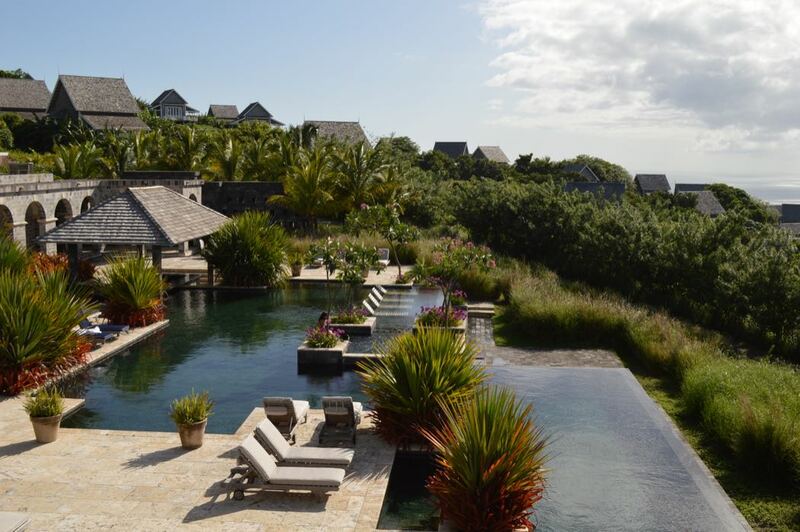 Guana Island Resort is stretched across one of the few remaining private islands in the British Virgin Islands. The luxurious resort has been carefully designed to preserve the island’s untouched beauty. Cottages and villas are discreetly dotted along a hillside with views of the Caribbean ocean below, each finished with traditional white-washed walls and handcrafted furniture. A selection of cottages come with a private pool, shaded by bougainvillea trees. The resort offers the intuitive service you’d expect from a luxurious hotel, along with lavish menus and an extensive wine list to match. The hammocks on the beaches and al fresco dining create a typically laid-back Caribbean ambiance. The staff will provide you with a guide to explore the well-marked network of hiking trails. 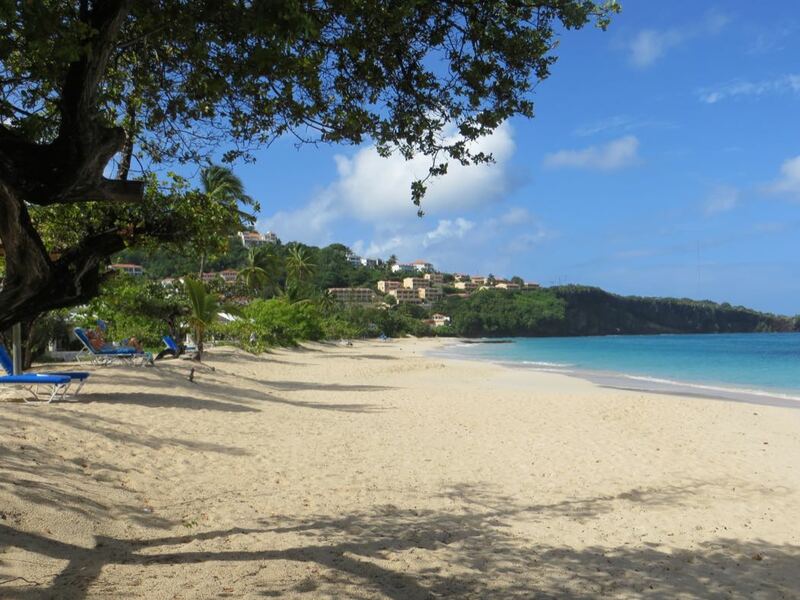 Sat on the southern tip of the Grenadines, Grenada is a low-key island with sheltered beaches and some of the softest sand in the Caribbean. Nutmeg, cinnamon and cocoa plantations dot the island, leading to its ‘Isle of Spice’ nickname. Spice Island Beach Resort is a contemporary Caribbean hotel on Grand Anse Beach. Each of the hotel’s spacious beachfront suites has a terrace leading directly to the beach; scented sea-grape and almond trees maintain privacy. You can dine on your terrace, ordering in some of the local speciality Creole dishes, or eat at the well-reputed Oliver’s restaurant right on the beach. The spa’s specially created treatment range makes use of the island’s spice production. Tucked away on Antigua’s south coast, Carlisle Bay is sandwiched between its own stretch of pearly white beach and jungle-covered hills. A stylish, yet understated resort, it’s a curve of white-washed buildings and bleached decking. The rooms have every facility and gadget you could expect of a top-class resort; French doors open out onto a private balcony or terrace. There’s enough here to keep even the most active traveller busy. You can make free use of the diving school, fitness centre and cinema, and choose from a range of water sports. Once a tennis academy, Carlisle Bay has arguably the best tennis facilities in the Caribbean with floodlit courts for evening play. 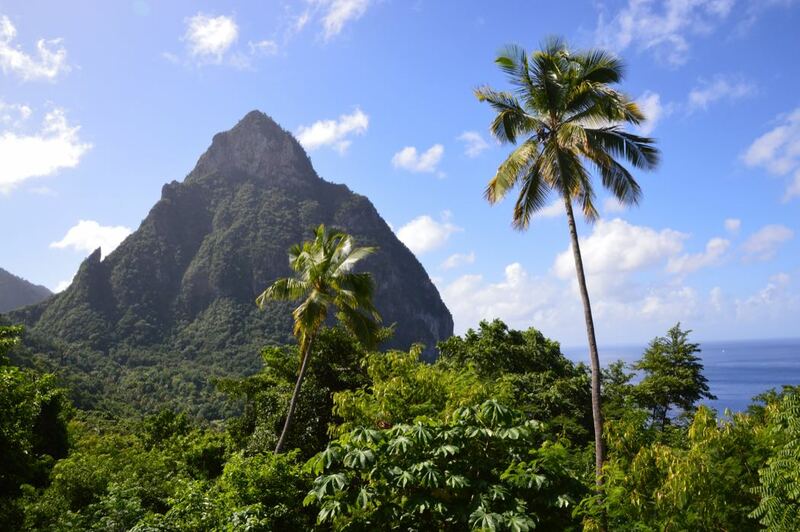 The twin peaks of the Pitons and the Caribbean sea beyond form part of Saint Lucia’s natural UNESCO World Heritage Site. Ladera is one of the only hotels within the site, and its views showcase just why the area gained its status. Once part of Saint Lucia’s oldest cocoa plantation, the Rabot Estate, the hotel is now a luxurious retreat. Every suite has an open wall: the west side is completely open to the elements, exposing the incredible view. The suites all have a private plunge pool, some with swing chairs suspended over the water. Located up in the hills, surrounded by jungle, the hotel is also an ideal spot for exploration. The Tet Paul Nature Trail begins nearby, a natural staircase leading through the rainforest to a view of the island with neighbouring St Vincent in the distance. If you’re more intrepid, and for a bird’s-eye view of the rainforest, you can glide across the tree tops on a series of zip lines. The hotel can also arrange guided hikes to the Pitons themselves. The ‘farm to table’ dining concept is becoming increasingly popular, but arguably few do it better than Belle Mont Farm on Saint Kitts. Some 90% of the hotel’s produce is grown on site in the organic farm or sourced ethically from one of the surrounding producers. The hotel’s main restaurant has an imaginative tasting menu, but the highlight is eating at the farm itself seated among the vegetable beds at a communal table. Multiple dishes are brought out and passed around the table. The food isn’t the only draw. You’ll stay in an individual guesthouse designed by the award-winning architect Bill Bensley. Each has a private pool overlooking the Caribbean Sea, and an outdoor bathroom with a claw-footed bath tub. Inside, your room converts into a private cinema when you pull down the giant screen in front of the bed (there’s a wide range of films to choose from). It’s difficult to find a hotel with a more interesting history than the Montpelier Plantation Inn on the tiny island of Nevis. Admiral Lord Nelson married Fanny Nesbit, the niece of the President of Nevis, under the boughs of a silk cotton tree in the hotel’s grounds. Once one of the richest sugar plantations in the Caribbean, it’s now a beautifully restored boutique hotel. Each room is bespoke, incorporating historical features in the design and long verandas angled to catch the sea breeze. 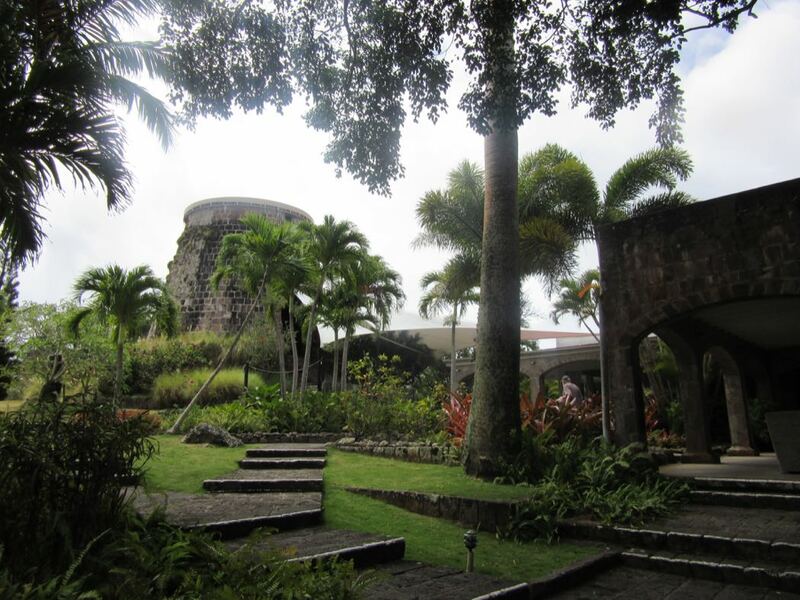 We recommend booking a candle-lit table in the tiny Mill Privee restaurant, built inside the plantation’s sugar mill. The contemporary Caribbean food is served as a gourmet five-course tasting menu. The Cap Maison is a throwback to old-school hospitality. Set on a former sugar plantation on a clifftop above Smugglers Cove beach, its dramatic setting offers views right across to Martinique. Built in a Spanish-Caribbean style, the rooms are furnished with cedar floors, hand-painted Mexican tiles and rich fabrics. Wandering through the hotel, you enter a maze of courtyard gardens, fountains and vaulted passageways. The resort is particularly renowned for its dining, where the focus is on fresh, seasonal produce and thoughtful service. The gourmet Cliff at Cap restaurant is run by chefs coming from a Michelin-star background, serving a creative French-Caribbean menu. You can arrange to dine privately on the dining deck down on the rocks; drinks are delivered straight from the bar by zip line.